This past Saturday, November 11, Wahaha students, teachers and local members of the community all came together for our latest cooking event! We made some Japanese classics including maki sushi, teriyaki salmon, atsuage (deep-fried tofu) and shiratama dango (sweet rice dumplings). We hope to see you at our next event!! 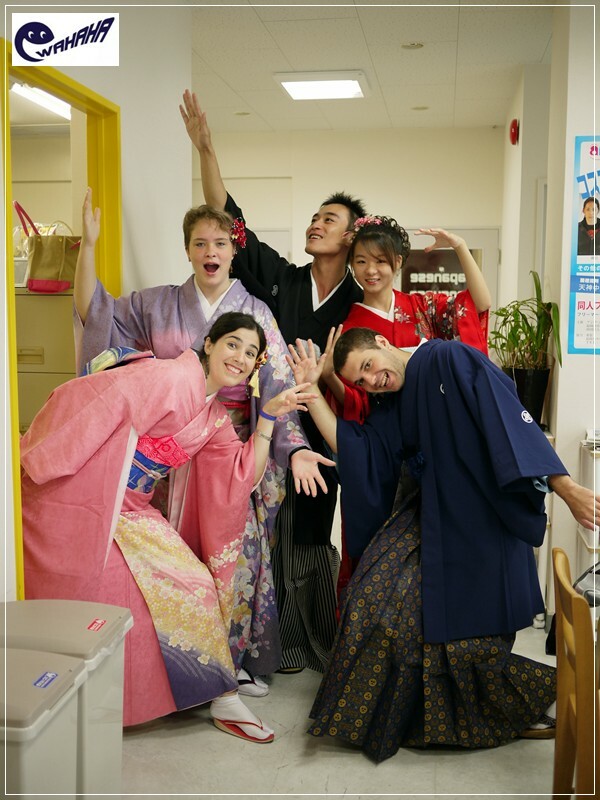 This past Friday, November 3 Wahaha students joined us for the Kawabata Night Festival! We took a walk around the Kawabata shopping district to enjoy the performances and street food! We also got to see a traditional tea ceremony in the Canal City Hakata Tourist Lounge! We hope to see you at our next event! !